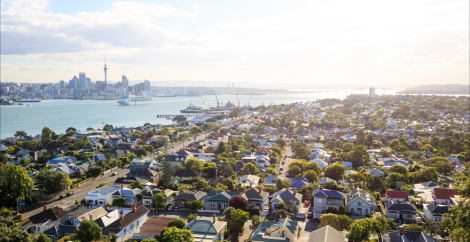 Conveyancing in Auckland - do you know what you need to? 28 May Conveyancing in Auckland – do you know what you need to? These days, we’re bombarded with news about the property market. It’s enough to make anyone’s head spin, and that’s just the beginning. For most of us, buying or selling a house is one of the largest transactions we will ever undertake. For many it may even be a ‘life-altering’ transaction. Of course, while it’s an exciting experience, it’s also known for being a stressful time. What’s the best neighbourhood for my kids? How repayments are realistic for me to afford? The stresses and frustrations of competing for a property in a hotly contested market take their toll. Sleepless nights become the norm when managing the many practical and legal considerations that come with buying or selling a house. It’s crucial you have the services of someone you can trust who will prepare and execute all legal documents in the correct way. A capable conveyancer will deal with the mountains of red tape that come with buying and selling of property. They’ll attend to the detail, and make process as smooth as possible. But first, what is conveyancing? But first, what is conveyancing? Conveyancing is the term used to describe all the legal legwork required to transfer ownership or legal title of real estate, from one person or entity to another. Conveyancers and property lawyers are specialists in property law. They have the training and skills needed to deal with the legal intricacies of buying and selling a property. Conveyancing covers the sale of all types of property, such as retail space, office space, industrial units, retirement villages, residential homes and rural properties. There are also varying degrees of complexity involved in conveyancing. For example, buying an apartment is different to buying a cross-lease section, and buying a unit title dwelling is different to buying a residential home. Your purchasing legal options can vary too, based on your unique circumstances. For example, do you need a trust or should you buy a property using a company as a legal vehicle or entity. The options and possibilities are almost endless. An Agreement for Sale & Purchase is a legal binding document and (in general) you cannot change your mind after signing a contract unless there are special conditions. It’s important to get the right conveyancing advice from the start and to always get legal advice before signing any documentation. Draft an Agreement for Sale & Purchase for you for a private property transaction. If you are using a real estate agent, a conveyancer will check the contract for any issues and advise you on what conditions to include before you sign it. Ensure any conditions are met within the time allowed by the Agreement. Order Land Information Memorandum (LIM report) from the relevant Council and a building report, if required. Apportion rates, and rental/body corporate levies where applicable. Prepare the settlement statement and organise settlement to take place on the agreed settlement date. Confirm insurance is arranged for the property from settlement or possession date. For the full range of legal options and contract conditions available to you when buying or selling property, contact our Auckland lawyers. Our Quay Law conveyancing team is able to assist you with your next property transaction whether it be a commercial/residential property sale or purchase. 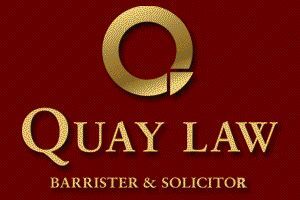 Contact the Auckland law firm, Quay Law for more information on property transfer and conveyancing.